I don’t know about y’all, but there’s nothing quite as sweet as a track that I loved in my youth getting a proper revamp for 2014. From strong female vocalists to timeless basslines, funky breakdowns and catchy choruses – these tracks had it all back in the day, and now thanks to exquisite ears, their new sounds more than hold their own against the original tracks (truth be told, I actually like them better). In my opinion, and in your dictionary, a remix is a piece of work designed to sound different than the original; let’s be real, if all you’re doing is enhancing the ‘four to the floor beat’, I probably won’t appreciate the artistic quality of your work. 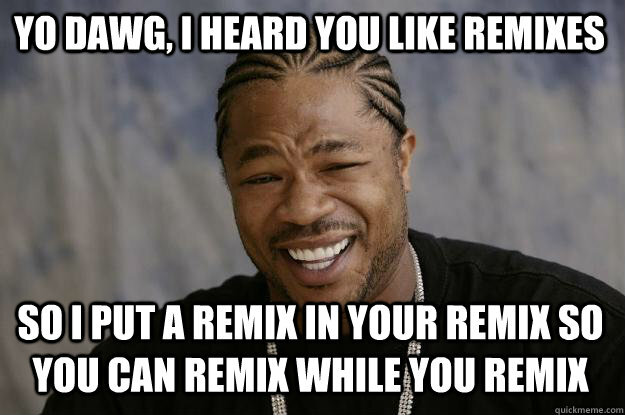 Another pet peeves in remixes is when the vocals are either eliminated or reduced to a repetitive whimper. So, when artists come along and do a song absolute justice – I definitely notice. The remixes below have completely blown me away, so whether you’re wishing Wednesday was over – or you’re happily plodding through the day, take a listen these kickin’ remixes and take a load off, it’s halfway to Friday !